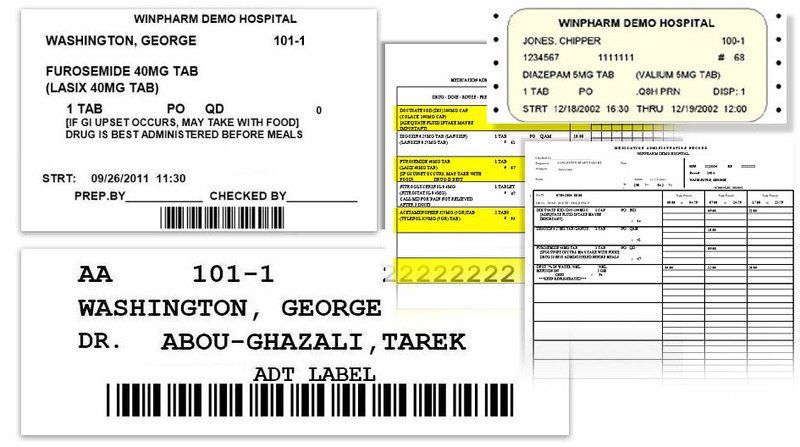 When you install the actual WinPharm system in your hospital, you may choose the styles of reports and labels that fit your operation best from our extensive library of report and label layouts. Our templates include over 25 different medication label layouts, 15 IV label layouts, and over 100 different MAR styles, ranging from daily MAR's to monthly MAR's. All printed output can include barcodes as desired. Or, if you require custom reports or labels, they may be programmed to your specifications for a reasonable fee. Go to our download site to download a complete sample set of reports and labels.